High Street Phoenix, one of the largest shopping malls in India and known for redefining the mall culture, has appointed Gozoop to enhance their digital presence. With the ever changing pace of online media and the emergence of influencers on social platforms, it is essential to innovate and strategize for our brand. With pioneering initiatives like development of Go Phoenixing Loyalty Program on smart phones to the much appreciated campaigns on social media, High Street Phoenix takes a step ahead by partnering with Gozoop to manage its online platforms. With the expertise of Gozoop and reach of High Street Phoenix, we aim to celebrate a well-designed and prosperous digital future. 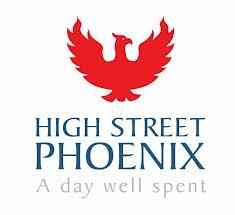 High Street Phoenix is a brand we love and we are excited to work with such an iconic brand. Our core strength is to run awesome campaigns that deliver value for our clients. With our digital marketing experience & expertise in the retail industry, we aim to sync High Street Phoenix offline and online activities through strategic inputs leading to effective digital communication. This will play a significant role in building happy & lasting relationships between High Street Phoenix and its customers.